Children’s fascination with dinosaurs and fossils seem to start as soon as they can talk! Here at Upper Arlington Public Library, it’s amazing how many four and five year olds can pronounce Dromiceiomimus (pronounced: dro-MEE-see-o-MYE-mus) or other intimidating species! Their fascination with these giant beasts doesn’t end when they start school – maybe because the most appealing part of these creatures is the mystery that surrounds them. Fossils are just as intriguing. Who hasn’t felt the power of curiosity and wonder upon discovering a fossilized shell or sea creature in a place that is far away from an ocean? This month, we’re focusing on polar dinosaurs and fossils – clues to past environments very different than what we know today. We’ve highlighted books in eight categories: Inferences in Language, Fossils, Dinosaurs, Paleontology, Archaeology, Mammoths, Geologic Time, and Penguins and Polar Bears. Classroom tips are provided for each category, and, in some cases, individual books. Have a suggestion for using one of these books? Please leave a comment below. The informative, engaging text and compelling illustrations and photographs will entice students to learn more about the past. Fossils are everywhere. Paleontologists and archaeologists were once kids, too – just read about Mary Anning. Which one of your students will be next? Use these titles to help younger students learn to make inferences from textual clues. Thesaurus Rex. Laya Steinberg. 2003. Picture book. Recommended ages: K-2.Children can use their knowledge of rhyming words to guess the final word on each two-page spread. Detective Dinosaur. James Skofield. 1996. Easy reader. Recommended ages: K-2.Three mysteries for youngsters to solve – children can use clues to guess where the missing hat is, why the shoe is squeaking, and what the mysterious clanging sound in the dark alley might be. 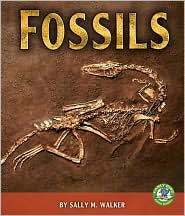 Use these books to accompany the lessons and activities about fossils highlighted in this issue (see Learning About Fossils Through Hands-On Science and Literacy in the Science and Literacy department of this issue). Fossils. Melissa Stewart. 2003. Nonfiction book. Recommended ages: Grades 2-4.The author explains that trace fossils of plants, footprints, burrows, and even feces (called coprolites) help scientists learn about where animals lived and what they ate. Fossils of ocean animals are the easiest to find because air could not reach the dead plants and animals, but tar, sap and mud have helped to preserve land plants and animals. Fossils. Sally M. Walker. 2007. Nonfiction book. Recommended ages: Grades 3-5.Fossils are more than just dinosaur bones. Learn how shells, fish, leaves, footprints, petrified wood and even mammoth hair are turned into fossils. The difference between fossil casts and molds is explained. The final two chapters discuss the difficulty of finding certain types of fossils and why scientists study fossils – one important reason being that fossils give clues to climate and weather changes on Antarctica and other continents. Use these titles to introduce the concept of making inferences from fossilized evidence. Even though scientists have learned a great deal from fossilized dinosaur remains, there’s still a lot to be learned – and incorrect ideas to be corrected! 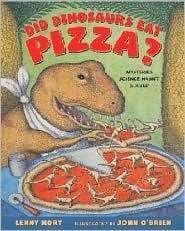 Did Dinosaurs Eat Pizza? Lenny Hort. 2006. Picture book. Recommended ages: Grades K-2.What color were dinosaurs? Did they make sounds? There are a lot of questions scientists still don’t know about dinosaurs. Prehistoric Actual Size. Steve Jenkins. 2005. Picture Book. 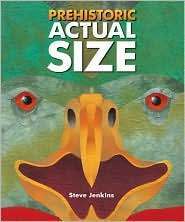 Recommended ages K-5.This oversize book will be fun to share with students and will help them conceptualize how big some prehistoric animals really were. Cut-paper collages and fold-out pages bring velociraptors and many lesser-known beasts to life. This book can be the springboard for a collage art project, or used to introduce the idea of scale to older students. Boy, Were We Wrong About Dinosaurs. Kathleen V. Kudlinski. 2005. Picture book. Recommended ages: Grades 2-5.New discoveries have given us better guesses as to how dinosaurs lived. Science Works Monster Bones: The Story of a Dinosaur Fossil. Jacqui Bailey. 2003. Nonfiction book. Recommended ages: Grades 2-5. Comic strip-like illustrations show the process of a dinosaur being fossilized, discovered and reassembled, complete with humorous remarks from the extinct Coelophysis. Don’t worry, there’s a note on how to pronounce it! 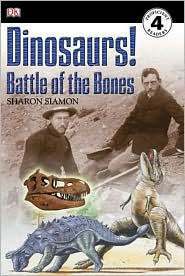 Use these books to introduce paleontology to your students before conducting a simulated dig, such as the ones described in What’s the Difference? Activities to Teach Paleontology and Archaeology in the Across the Curriculum department of this issue. Dinosaur Dig! Susan H. Gray. 2007. Nonfiction easy reader. 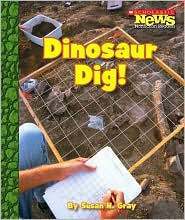 Recommended ages: K-3.This Scholastic News easy reader highlights the process of setting up a dig and recovering dinosaur fossils. Photographs enhance seven vocabulary words, which students are asked to “hunt” for in the text (a glossary included). Dinosaur Hunter. Elaine Marie Alphin. 2003. Easy reader. Recommended ages: K-2.A fictional account of a boy who finds the remains of a triceratops on his father’s ranch. Conflict with rival dinosaur hunters adds to the suspense. A historical note about fossil wars is given. 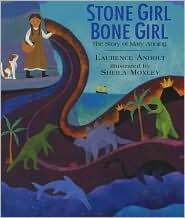 Stone Girl, Bone Girl: The Story of Mary Anning. Laurence Anholt. 2006. Picture book. Recommended ages: Grades K-5.Based on the true story of Mary Anning – who discovered her first dinosaur at the age of 12 on the cliffs of Dorset, England, in 1812. Her father took her to the cliffs as a young girl to show her the imprints of shells and leaves in the rocks. Fossil hunting became a lifelong passion and an unusual occupation for a woman during that time in history. A good tie-in for Women’s History Month and career exploration. 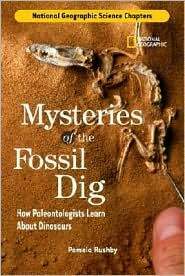 Mysteries of the Fossil Dig: How Paleontologists Learn About Dinosaurs. Pamela Rushby. 2006. Nonfiction book. 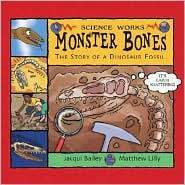 Recommended ages: Grades 2-5.Rushby tells how dinosaur bones are excavated, mapped, transported, cleaned, and eventually cast and made into exhibits. Too small to share with large groups, this book will be best used for reports and individual reading. Dinosaurs! Battle of the Bones. Sharon Siamon. 2007. Nonfiction book. 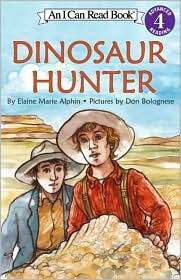 Recommended ages: Grades 2-4.One of the most productive dig sites for dinosaur bones is located in Red Deer Valley, in Alberta, Canada. In the 1900s as news spread about the dinosaur bones found there, paleontologists rushed to the valley to see who could find the most amazing skeletons for their museums. Use these books to introduce archaeology to your students before conducting a simulated dig, such as the ones described in What’s the Difference? 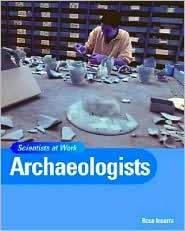 Activities to Teach Paleontology and Archaeology in the Across the Curriculum department of this issue. Archaeologists Dig for Clues. Kate Duke. 1997. Nonfiction book. Recommended ages: Grades 2-5.This book uses cartoons and dialogue to track the archaeological process – how a dig is set up and organized, archaeologists’ tools, and the kinds of artifacts found. Sidebars pose questions like “If they looked in our garbage can, what would people in the future learn about us?” A classroom tie-in might be a time capsule. Archaeologists. Rose Inserra. 2004. Nonfiction book. Recommended ages: Grades 4-5.A great introduction to archaeology, the history of the field, and case studies. Relative and actual dating techniques are discussed. Other features are an interview with an archaeologist, activity suggestions, including a garbage study and field survey, maps and photographs. A variety of organizational techniques and writing styles makes the book useful when discussing how authors organize and present information. Dinosaurs aren’t the only remains found in the Arctic – woolly mammoths lived there during the last ice age. These two books provide information about mammoths, their mummified remains, and insight into how scientists learn from these fossils. 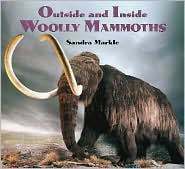 Outside and Inside Woolly Mammoths. Sandra Markle. 2007. Nonfiction book. Recommended ages: Grades 2-5.Mammoth remains discovered in the Arctic have taught us a lot about conditions during the last ice age. Mummified mammoths help us learn what they ate, what color their hair was, and how they walked. Tusk rings also give clues about the general nutrition available throughout their life. Their large heart pumped massive amounts of warm blood throughout their body – which may have become problematic as the earth warmed. Great photos and comparisons with modern elephants. History Hunters: Frozen Mammoth. Dougal Dixon. 2004. Nonfiction book. 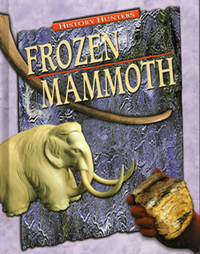 Recommended ages: Grades 4-6.Dixon wrote this book as letters between scientists who are exchanging information about the discovery of mammoth mummies. Many of the frozen mummies have been discovered by native people in Siberia as the permafrost thaws. The mummies must be recovered before they rot. Geologic time is not addressed in elementary science curricula but is inextricably linked with the concepts of fossils, dinosaurs, and paleontology. Both books could be included in a learning center or classroom library and used with interested students. Earth’s Crust. Conrad Storad. 2007. Nonfiction book. 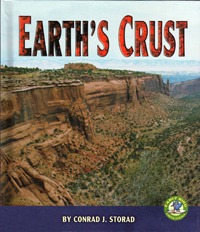 Recommended ages: Grades 2-5.Simple text and short chapters explain the composition of our planet, and the turbulence of earth’s crust. Photographs, diagrams and maps show students where continental plates are being formed and where they are colliding. The Big Rock. Bruce Hiscock. 1988. Nonfiction picture book. Recommended ages: Grades 3-5.A giant boulder sits on a hillside in New York State. How did it get there? Trace the formation of the rock from volcanoes to prehistoric oceans to mountain-top earthquakes, and finally a bulldozer glacier. 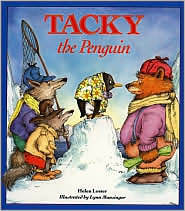 Tacky the Penguin. Helen Lester. 1988. Picture book. Recommended ages: K-2.Tacky is an unusual penguin in a Hawaiian shirt that trips when he marches and does cannonball jumps into the ocean. When trappers come to Antarctica with maps and traps and rocks and locks to capture penguins to sell, only Tacky can save the day! 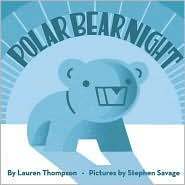 A story about respecting differences to share during studies of Antarctica, wintertime, or any time. Note: This book is not meant to be scientifically accurate. Students could compare/contrast this book with a nonfiction text about penguins. Polar Bear Night. Lauren Thompson. 2004. Picture book. Recommended ages: K-2.The story of a polar bear cub as he ventures out of his mother’s snow den and into the night where he sees seals sleeping as they bob at the surface, whales coming up for air, and the clear night sky with falling stars. The illustrations are simple and perfect for quietly sharing with groups. This book can be used to introduce the concept of adjectives and descriptive language to younger students. This article was written by Kate Hastings. For more information, see the Contributors page. Email Kate at beyondpenguins@msteacher.org. Copyright April 2008 – The Ohio State University. This material is based upon work supported by the National Science Foundation under Grant No. 0733024. Any opinions, findings, and conclusions or recommendations expressed in this material are those of the author(s) and do not necessarily reflect the views of the National Science Foundation. This work is licensed under an Attribution-ShareAlike 3.0 Unported Creative Commons license.